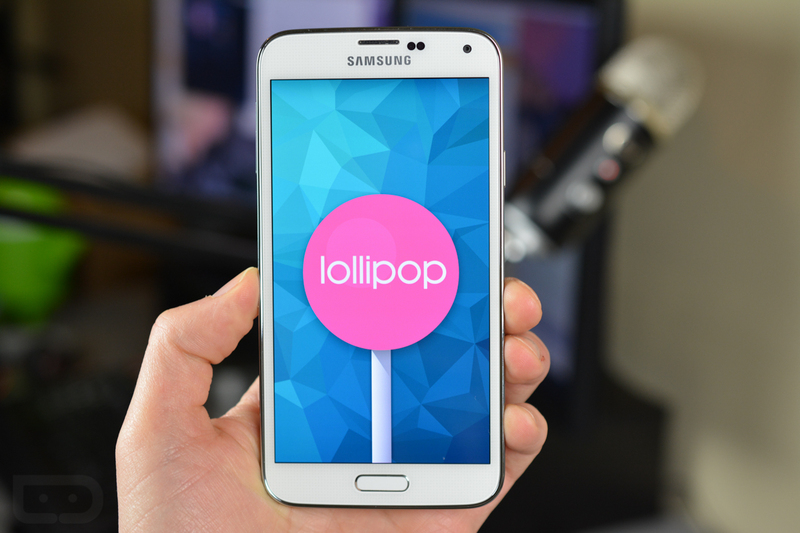 T-Mobile Galaxy S5 owners, your Android 5.0 “Lollipop” update has arrived. At least according to a handful of our readers. The update starting pushing within the last couple of hours and weighs in at around 939MB. Neither Samsung or T-Mobile have updated their support sites to confirm the update on their end, so we don’t have an official changelog to share with you. With that said, you know exactly what you are getting. As we mentioned in our Galaxy S5 Lollipop tour, the update includes all sorts of Material Design touches throughout the Samsung suite of apps. You also will see the new Lollipop notifications on the lock screen and features like Smart Lock embedded deep inside. For the most part, though, this is just Samsung’s TouchWiz. The skin is brightened up, but all of the stuff you are used to is still stuff in its original place. To check for the update, head into Settings>System updates. Before updating, understand that you will need at least 3GB of free space in order to complete the process. Also, after upgrading, your available storage will drop by 950MB, so almost 1GB. It’s a big one. 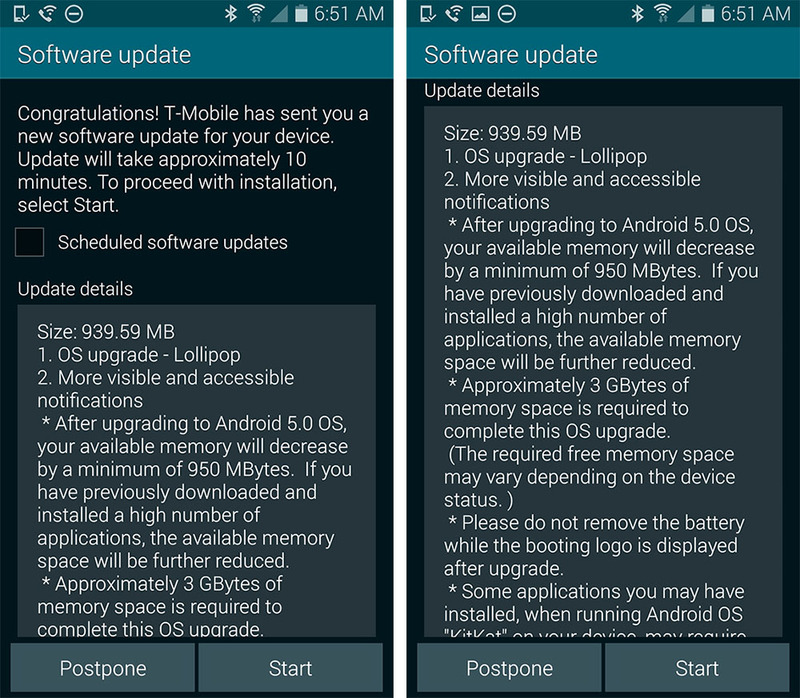 Update: T-Mobile finally posted update info. Outside of it being Lollipop and software build G900TUVU1EOB3, the update also introduces WiFi Calling 2.0 support. Cheers Randy, Paul, and everyone else!